By Hook Or By Crooke. Driving south from Waterford towards Dunmore East (via R684), you’re not just following a road to the coast. You’re following in the footsteps of fishermen and emigrants who sailed to Newfoundland in the 17th and 18th centuries, creating an indelible cultural connection with North America. Of course, those Newfoundland links are but a recent chapter in the history of the South East. Driving towards Passage East, you’ll pass a pretty little village called Crooke. A ferry across the Suir Estuary takes you to the windswept Hook Peninsula. It was these very landmarks that Henry II referred to way back in 1170, when he vowed to reach Waterford “by Hook or by Crooke”. 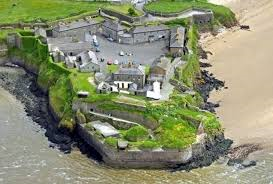 Continuing on a loop of the Hook, you’ll pass Duncannon Fort and the desolate shell of Loftus Hall, where the devil is said to have been unmasked during a game of cards. Look out for Dollar Bay too, named after pirates reputedly stashed two tonnes of Spanish milled dollars there in the 1700s. 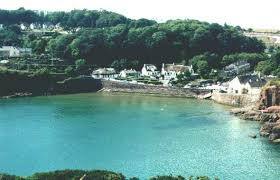 It’s just one of a dozen or so hidden coves spotted around this bleakly romantic peninsula. 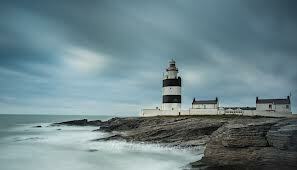 Then there is Hook Lighthouse, the black and white striped beacon that has been warning ships off treacherous rocks here for some 800 years. Lonely Planet hailed this “great granddaddy” as the world’s flashiest lighthouse, and visitors can climb its spiralling steps to views stretching as far as Wexford’s Saltee Islands. In wintertime, you may even see passing whales. After the Hook, head north on the R733 towards New Ross. Here, the JFK Arboretum and Kennedy Homestead at Dunganstown, which one Patrick Kennedy left to emigrate to America from the quays at New Ross, tell the story of another great American connection. Kennedy’s greatgrandson, JFK, returned to his homeland in 1963 as the first Catholic President of the United States.